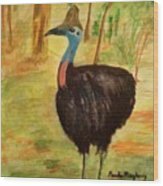 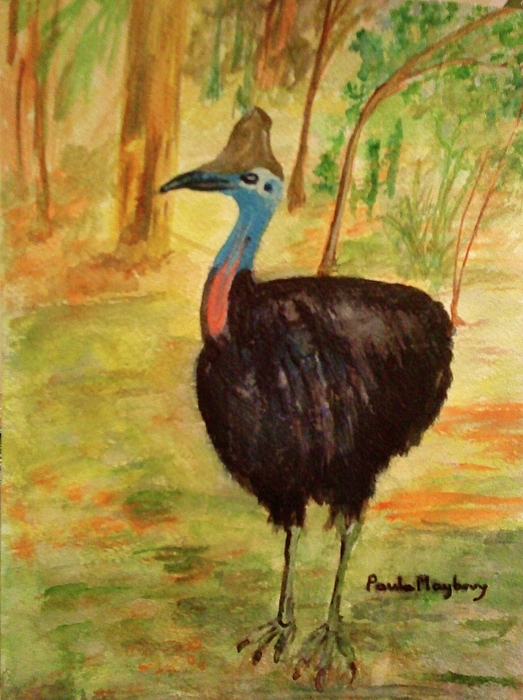 This water painting is of a Cassowary bird. 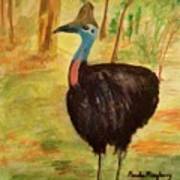 Originates from Australia and New Guinea. 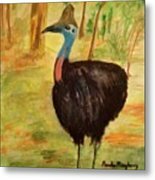 Rarely seen in the wild by humans, very shy but deadly hence the bone casque on top of its head, the only known armoured bird in the world.